You are here: Home / research / seo / Is It Actually Possible To Recover A Website Hit By Penguin? Is It Actually Possible To Recover A Website Hit By Penguin? Just in case you haven’t been paying attention, there was a Google update named Penguin that was released a short time ago. This update was part of Google’s aggressive campaign to put a stop to SEO marketing techniques that were used to manipulate Google search rankings. While Penguin didn’t quite catch every site that used SEO, it caught enough that quite a few sites saw their Google search rankings plummet. This event caused a bit of a panic in the SEO industry and there were a lot of people who claimed that Penguin was the death of SEO. While this feeling is understandable, the fact is that Google isn’t at war with SEO, they simply want people to follow practices that are designed to keep Google search results relevant. For Google to remain the dominant search engine on the internet, it has to make sure that the search results are as accurate as possible. While some people in the SEO industry decry Google’s release of the Penguin update, what they don’t realize is that SEO is not dead. 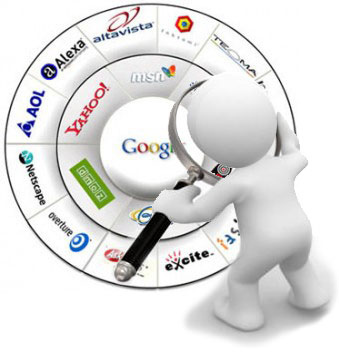 Google could not survive without the actions of the SEO industry and they know it. 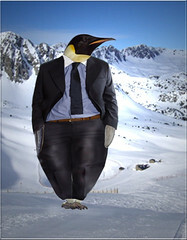 The release of Penguin wasn’t about stopping SEO as much as it was about returning relevance to their search rankings. What Google wanted to get rid of were sites that were simply piles of keywords that had no real relevance to the search terms and this is exactly what Penguin did. While Google wanted to get rid of sites that were simply stack upon stack of keywords, Penguin did snag quite a few legitimate sites as well. It was these sites losing their hard earned ranking overnight that led to the panic in the SEO industry and left many of us wondering if SEO was no longer a legitimate marketing technique. The answer is that SEO is still just as valid as it ever was but that it has to be done according to Google’s best practices. While this means the days of keyword stacked sites are probably gone for good, this actually presents a new opportunity for the SEO industry and the people who rely on those techniques to compete with the massive websites like Amazon. If your site was one of the many sites hit by Penguin, then you need to take a look at how Google wants you to work. Read their best practices and get to know what it is they are looking for. Google doesn’t have a problem with SEO, they just don’t want it to affect their search result relevance. While this means that we all have to learn a different way of using SEO, it does not mean you can’t still use it. The principals behind SEO are still the same, but in order to achieve and maintain a high ranking on Google you have to follow their best practice guidelines. The great thing about this (and yes there is a big upside) is that if you read those best practice guidelines you can learn everything you need to know about how to get a high ranking. Sally Frain is a website designer and freelance writer who has studied much about Google and Penguin. She has worked with many to make a website recover from this update and get back to where they were, and in many instances better. tom /wp-content/uploads/2015/03/logo_tom_altman_small.png tom2013-03-27 08:51:072017-11-23 00:46:40Is It Actually Possible To Recover A Website Hit By Penguin?